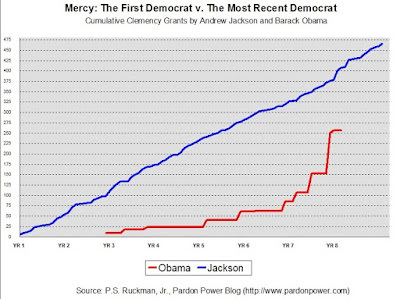 Although he had far fewer (literally thousands fewer) clemency applications coming his way, the first Democratic president, Andrew Jackson (1829-1837), granted almost twice as many pardons and commutations of sentence as President Obama has to date. Jackson granted his first pardon only 14 days into his presidency. Obama waited 682 days, the longest wait of any Democrat president in history. 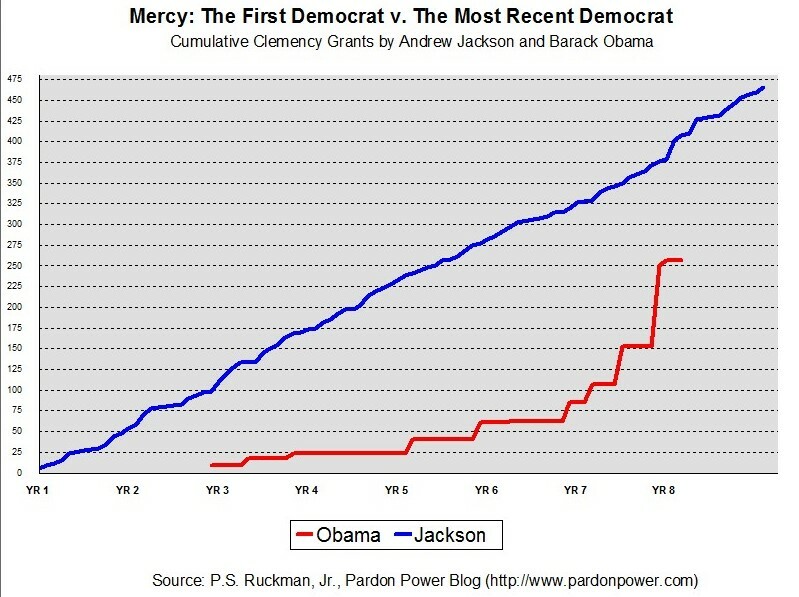 Jackson then proceeded to grant clemency regularly, almost every single month of his two terms in office (hence the steadily increasing blue line all of the way across the chart, below). 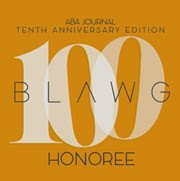 Jackson passed the 100 mark for grants just before the beginning of his third year in office. Obama did not pass that mark until well after seven years. It is clear that, from start to finish, Jackson recognized the importance of his constitutional duty to participate in our system of checks and balances. He did not take the position that the president should be a silent, motionless, helpless by-stander in the institutional approximation of justice. President Obama, on the other hand, has been content - even after an exceptionally long initial delay - to go for months and months without granting a single pardon or commutation of sentence (hence the extended plateaus in the red line, above). It is our hope that, one day, there will be change. We hope that the apparatus for processing pardon applications will be moved back out of the Department of Justice (it has not always been there) and into the Executive Office of the President - by executive order, if necessary. We hope, further, that presidents, both Democrats and Republicans, will adopt the view of Andrew Jackson and, frankly, most presidents throughout history. The pardon power was not placed in the Constitution to be neglected, or abused. It should be a regular feature of the presidency - as it was throughout most of our history - because 1) convictions are a regular part of our criminal justice system 2) judges, prosecutors and legislators are not perfect 3) the need for second chances does not end 4) debts to society are payed and 5) rehabilitation happens. Pardons should not be an after-thought, or last-minute stunt.